Dan Tabas, and his dynamic assistant principal, Lauren Lindbergh, lead the burned out staff of East Philly High to restructure every traditional educational concept, while overcoming resistance from central administration. Can East Philly High emerge from chaos to save the students left behind? 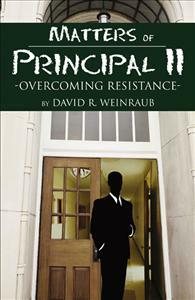 Dan Tabas, and his vibrant assistant principal, Lauren Lindbergh, need to control their developing feelings, if they hope to complete their restructure of the inner-city school. Dan has subtly manipulated both the staff and school board into declaring East Philly to be an “experimental school,” and this designation has allowed the staff to pursue major changes outside of the teacher’s contract. Meanwhile, five teaching interns are trying to survive, and a fifteen year-old genius has come up with a plan to revolutionize public education in the US.